Something great is happening in the Westshore business district, and this weekend is your chance to be among the first to tour ICON Residential's highly anticipated Westshore Village community. 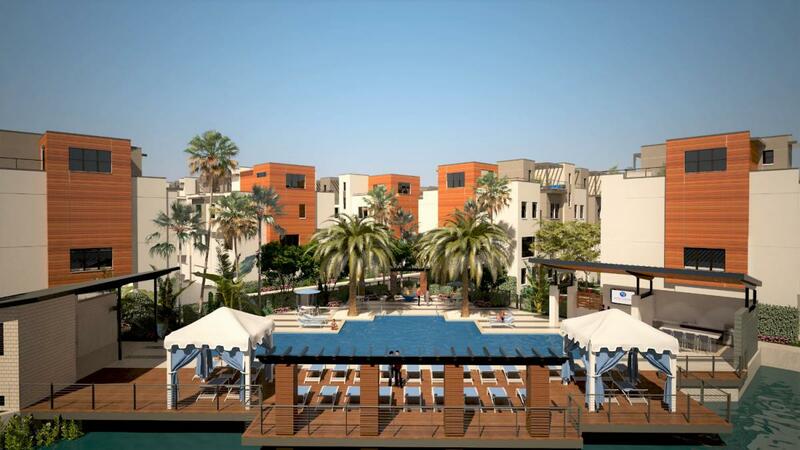 Their grand opening will feature their new designer furnished models and hip new pool amenity. Westshore Village will have 92 contemporary style townhomes, featuring modern architecture and spacious design nestled in the exciting Westshore business district. The mantra for Westshore Village is "Live. Work. Play." and this is easily accomplished with a perfect location near premier shopping, restaurants and bars and easy access to Downtown Tampa, Downtown St. Pete, the beaches, and Tampa International Airport. For home buyers looking for convenient comfort and with modern and spacious living, this new townhome community should be on your list of places to tour. The Grand Opening on Saturday, from 1 p.m. -3 p.m., will offer tours of two models. The Westshore Village model home is based on a Hyde Park floor plan style, and offers 2,425 square feet of living space with three bedrooms, four bathrooms, a two-car garage, a bonus room and two outdoor living areas not seen in many townhomes. It offers a light and airy decor, with sweeping windows that many townhomes do not usually offer. Extra features like the bonus room with wet bar to a fully-tiled feature wall in the living area will impress many home buyers looking for cool and comfortable modern design. 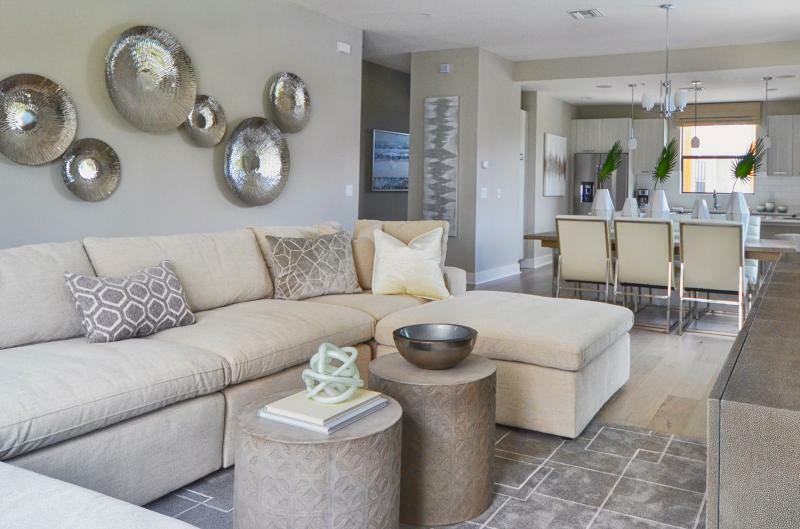 “Modern minimalism meets comfortable living at Westshore Village. Throughout the model home there are modern lines found in all the furniture pieces. Chrome accents and sheens are found throughout the home to add hints of glamour throughout. 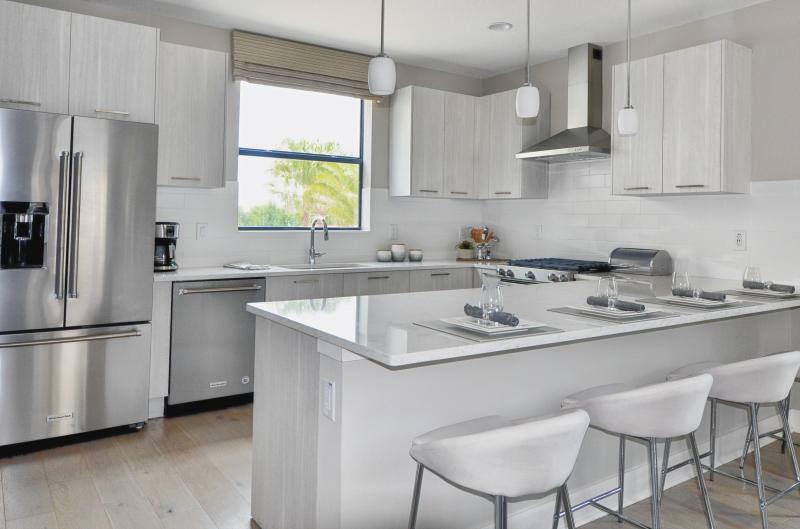 A color scheme of warm grays and soft ivories are designed to showcase the modern textures found throughout the home,” said Aundrea Brown from Intermark Design Group. The grand opening will also feature a second model home called The Channelside. This model offers 1,902 square feet, 3 bedrooms, 3.5 bathrooms, and a two-car garage. Visitors will love the views from the rare outdoor rooftop living area complete with outdoor kitchen! Everyone is invited to attend the Westshore Village Model Grand Opening this Saturday July 21st from 1 p.m. to 3 p.m. Guests can enjoy catered hors d’oeuvres, beverages, and an exciting look at Westshore Village. The community is located at 2511 N Grady Ave., Unit 92, Tampa, FL 33607 near the intersection of N. Grady Ave and W. Boy Scout Blvd. “We’re excited to have created a community so close and within walking distance to the International Plaza Mall, the Tampa International Airport, and the Raymond James Stadium (including for the big game ahead in 2021). Our homeowners can walk to all of their favorite places so it’s a great location for the lock-and-leave lifestyle. We focus on building modern townhomes that effortlessly connect homeowners with their community, and by adding community amenities like the lakefront pool, two dog parks, and a bocce ball court. We’re truly allowing for a ‘Live. Work. Play.’ style of living.” said Peggy Tseung the ICON Residential managing partner. And if you're looking for more information on neighborhoods or real estate in Tampa check out 813area, your local guide to your favorite city!